Get even more storage space out of your favorite wallet by adding some Hipster Double-High Wallet Inserts from Big Skinny. The 4-page plastic insert set holds a total of 16 plastic cards or photos (front and back). Plastic inserts are the easy way to show off your favorite pictures of your kids, grandparents, spouse or pets. 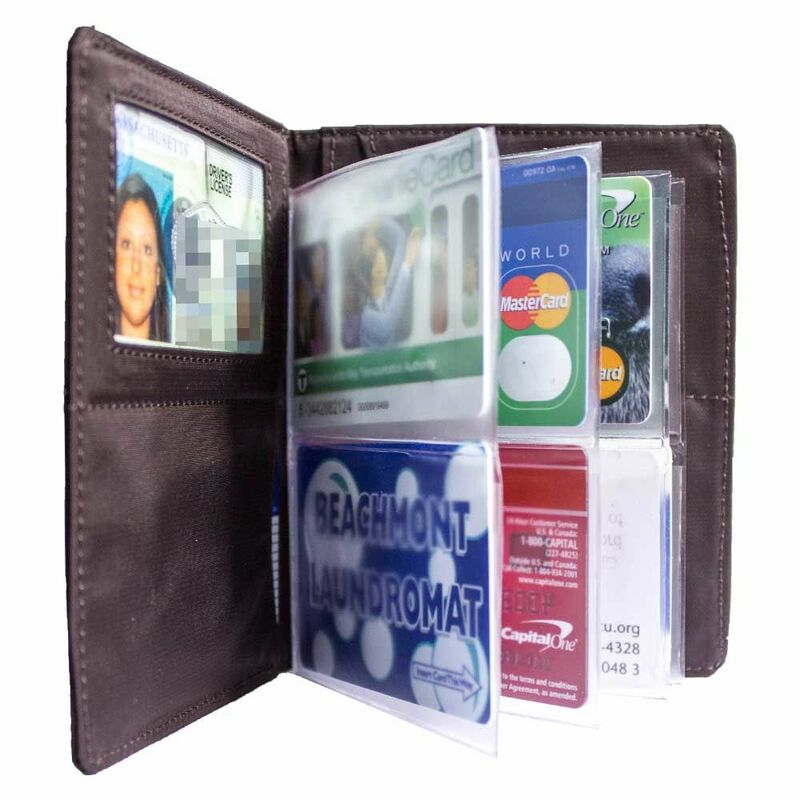 You can also use the plastic sleeves to hold more credit cards, ID cards or membership cards. The Hipster insert is compatible with the men's Hipster, the women's Monte Cougar or the unisex Traveler and Passport Holder. Inserts are easy to install and the clear plastic sleeves open from the top for easy access to your photos and cards. The multi-purpose insert is made of lightweight, heavy-duty plastic that holds up well to daily use, but won't add bulk to your wallet. Use inserts to expand your storage space or create a mini brag book that you can take with you wherever you go. 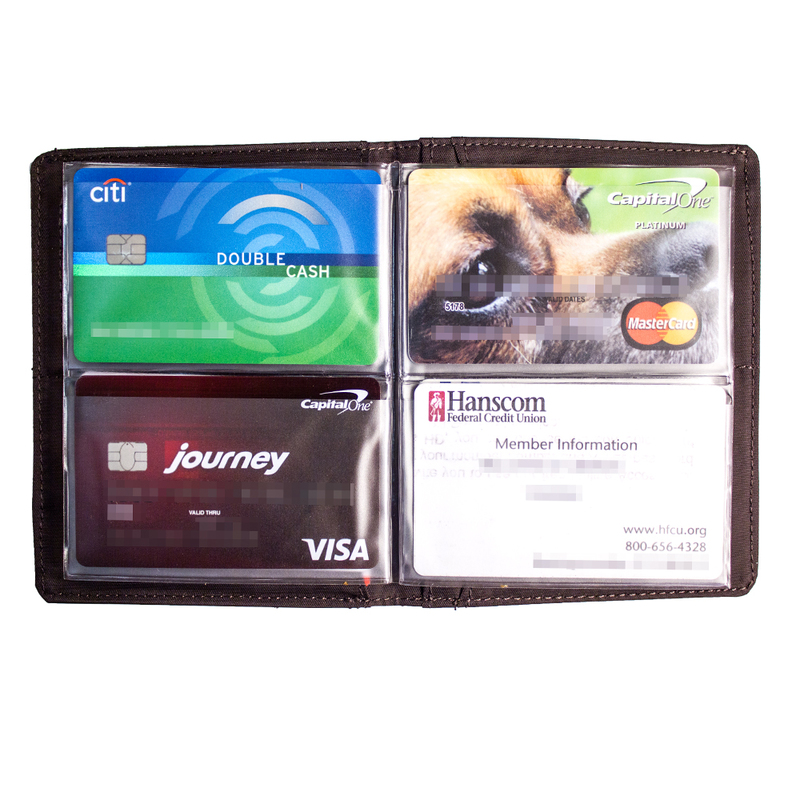 Our plastic wallet inserts are priced low so you'll still have some money left in your wallet after you're done customizing it. Very satisfied with the Big Skinny wallet purchased about a 18 months ago. Much thinner; doesn't wear holes in my hip pockets; has held up well. The 4-page insert is OK. First one lasted this long. I'm ordering 2 more. Description is correct--top loading makes inserting and accessing the cards easy. Also makes it easy for them to fall out, which happens regularly, if I remove the wallet from my pocket upside-down and don't grip it firmly. Otherwise, it would get 4 stars. I'd prefer an insert that loads from the edge of each pocket facing the center fold, although I realize this may make that "hinge" edge less durable. ConsWith top-loading, the upper compartment or each page is liable to dump your cards any time the wallet is held upside-down and not gripped firmly. Get in the habit of always putting the wallet in your pocket rightside-up. These photo/card holders are about average for this kind of product. over the past 50+ years I have found them all to be about the same. They last a little while then they tear up. That is why I ordered 3 of them. With luck I will go 2 or 3 years without re-ordering. The wallet itself is great. ProsThey fit the wallet they are designed for. ConsNone of these holders last like I wish they did. As I've read some comments about those "fragile" inserts, I got two, so if one gets worn, I just change it. For 3 buck nothing wrong! I had the previous model was hard to get the cards out of the envelope. The new model is sooo much easier! This is the second insert I have ordered for my husband's Hipster Wallet. He loves the wallet, and needs the insert to carry all the cards he likes. 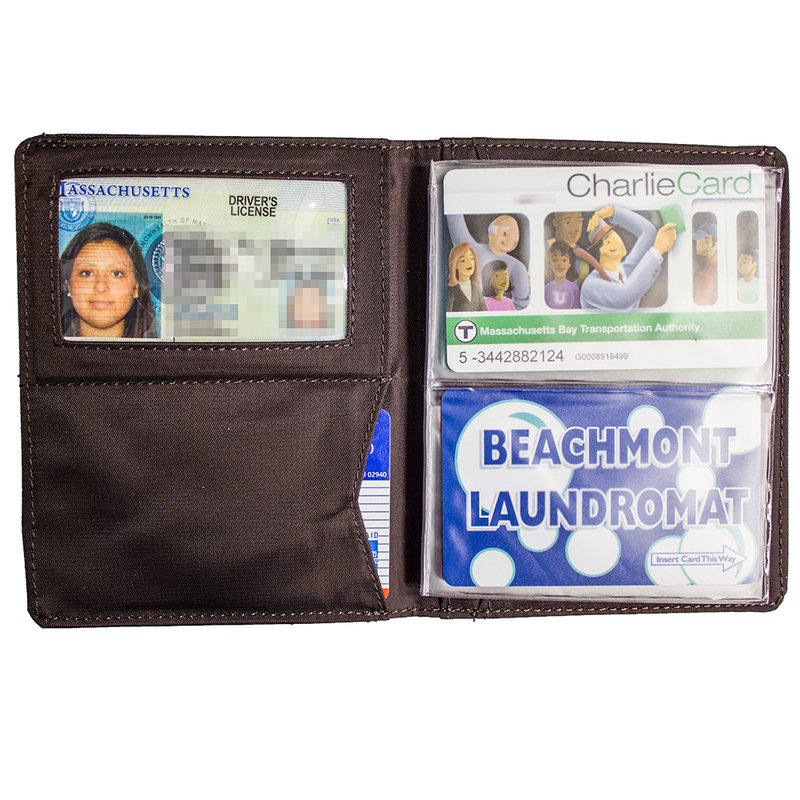 However, the insert is not made nearly as well as the wallet, and wears out quickly. Also, the only place to purchase it is the website, and though only $3 to replace, we have to pay about $3.50 in shipping! ProsHolds everything well in the Hipster Wallet. ConsFairly flimsy. High cost to ship such a small, lightweight item. The insert is fine it just did not fit the items i bought it for. The description stated it would fit any of the styles that I purchased but it was too small for one and too large for the other.